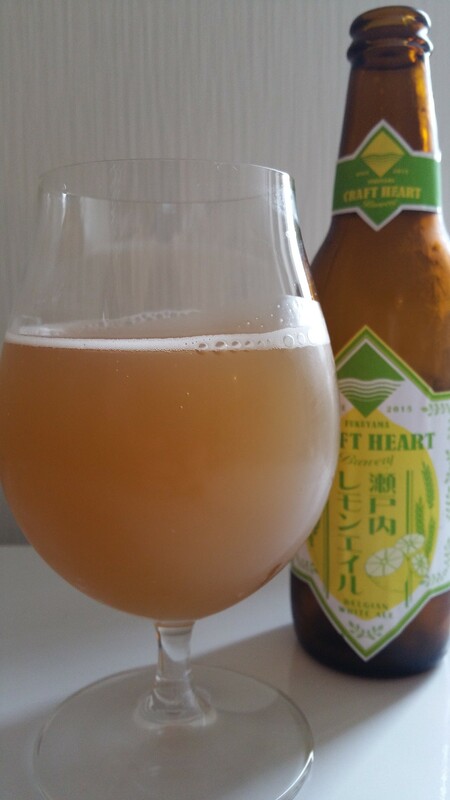 Fukuyama Setouchi Lemon Ale is a 4.5% fruit beer from Fukuyama Craft Heart Brewery, based in Hiroshima. It was one of the two beers that they decided to bottle in 2015 and is brewed using locally sourced lemons from the area – the same kind of lemons that are used in Kure Shimanowa Beer by Kure Beer. At the time of writing, I’ve only come across this in bottled form only. Fukuyama Setouchi Lemon Ale poured out a very very hazy yellow-brown colour with absolutely zero amount of head or any life to it. It looked like someone had poured the beer off and forgot to filter out the yeast as it some funky yeast aromas that smelt infected. The lemon aroma was present but not in a nice, sharp way. Instead, it reminded me of washing-up liquid and was distinctly chemically in the nose. The cheese aroma should have warned me off of this beer but soldier on I did. And regretted it quickly. The body was just disgusting. Absolutely 100% revolting and not drinkable. It had a potent smoky bacon-like taste to it and the washing-up liquid aroma was present in the body as well. I’ve never deliberately drunk washing-up liquid but jeez, why would you when you have Fukuyama Setouchi Lemon Ale. After two sips I had enough and tried to pawn this off to a friend to drink – who quickly spat it out and poured the beer down the sink. I didn’t react to this, nor did I protest. Fukuyama Setouchi Lemon Ale is simply disgusting and should be avoided. How someone could let this beer out of the brewery is beyond me.